It may seem like a coincidence – or a case of copying – that certain colors dominate fashion and decorating palettes. But many designers and marketers get their inspiration each year from Pantone, a company well-known as for its color matching system and expertise, that announces the hot color choices for the coming year. 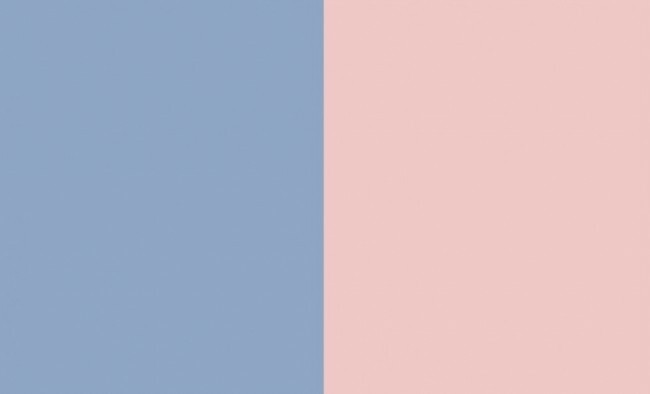 For 2016, Pantone broke with tradition and named two complementary hues as their “Color of the Year” – Serenity, a soft shade slightly darker than baby blue, and Rose Quartz, a dusky pink tint – and those two are sure to be on towels and textiles this coming spring. Color tastes come and go. Mauve walls are now as dated as yellow appliances. The minimalist look is now, the country florals of the past are out. Yesterday’s aubergine is today’s shade of marsala, the light wine tone that was favored flavor at Pantone for this year. The color experts at Pantone get a lot of publicity from their annual prognostication of the “Color of the Year” announcement, a practice implemented in 2000. Color forecasters and buyers for furniture showrooms and all sorts of retailers put great stock in the selection and the broader complementary palette the company proposes. Pantone was originally a small printing firm. But, it was transformed when it introduced its industry-changing color swatch book. Known as Pantone Matching System (PMS), it provided a means for variety of industries to ensure colors they use in one print job match the next. The company later expanded its color matching concept to enable shades to match when used in plastics, in digital technology, dying fabrics and other purposes. Their reputation provided credibility from the onset to its Color of the Year pronouncements. When considering its next annual color, Pantone’s color prognosticators look globally for influences. Colors are studied in fashion, art, travel destinations, film settings and more. They also look at what is going on societally. Sometimes the shades chosen are already showing up in some fashion lines. (Chanel used the two 2016 tones in its fall collection and Prada also used them for their new spring line.) In September, the company introduces what they believe to be the broader 10-color fashion palette for the following year. In December, they typically determine the color that will dominate in the forthcoming months. For the coming year, the firm’s experts opted for calming, quiet colors. The shades for 2016 were transformative and unisex, according to the company. The “colors this season transport us to a happier, sunnier place where we feel free to express a wittier version of our real selves,” according to Leatrice Eiseman, who is the executive director at the Pantone Color Institute. So, expect to see the two shades Pantone chose as the hot colors for 2016, which may normally have appeared on children’s walls and garb, on grown-up home accents, summer attire, paint cans and more. Retailers will feature them. (Sephora has featured makeup in the Color of the Year annually for some time.) Tee shirts, packaging, nail polishes and pillows in Serenity (will anyone really use that title for the tone?) and Rose Quartz will be big in the coming year, if Pantone is right again. One Response to "Pantone Colors 2016 in Two Shades"
Pingback: Sephora Pantone Palette Swatches | Shop Sephora!